The Ontario Graduate Scholarship (OGS) is valued at a maximum of $15,000 annually ($5,000 per term) and is jointly funded by the Province of Ontario and Ontario universities. 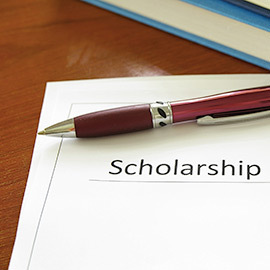 OGS awards are merit-based scholarships available to graduate students in all disciplines of academic study. Laurier’s online application for the 2016-2017 competition will close on Jan. 15, at 4:30 p.m. EST. Students must apply to the institution where they plan to hold the award. Students applying to a graduate program at more than one institution will be required to submit an application to each institution for consideration. Each university has a unique application procedure and deadline. The OGS cannot be transferred. Visit our external funding and awards page for information about the OGS including the application process, eligibility criteria, and conditions.